Shuck and Jive: Do Tell! Well how about them apples? The Senate voted today 65-31 to remove Don't Ask Don't Tell. Don't believe me? Check it for yourself! The Senate vote was 65-31. The House had passed an identical version of the bill, 250-175, on Wednesday. Repeal would mean that, for the first time in American history, gays would be openly accepted by the military and could acknowledge their sexual orientation without fear of being kicked out. 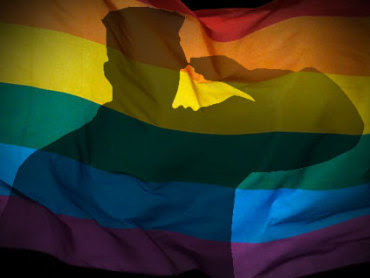 Now that the military says gays can be soldiers, I wonder when Presbyterians will allow them to be preachers of peace? Just a matter of when, no longer any doubt about it being a matter of if, thank goodness. It is hard to overestimate the importance of having one of the nations largest employers start to get rid of this sort of discrimination. Young men and women in the armed forces will learn that the people they're serving with don't have a tail and horns. They'll learn first hand that the BFTSs have been lying to them for years. This will only speed up the demise of marriage discrimination, immigration and adoption discrimination, employment discrimination, etc. Only the haters don't see the writing on the wall. The haters and the John McCains of the world, who I think would rather see people continue to suffer than admit they are wrong.